Please note: this recipe has been updated. You can find the new and improved recipe here! As promised, the second post of my ‘Battle of the Buttercreams’ series! 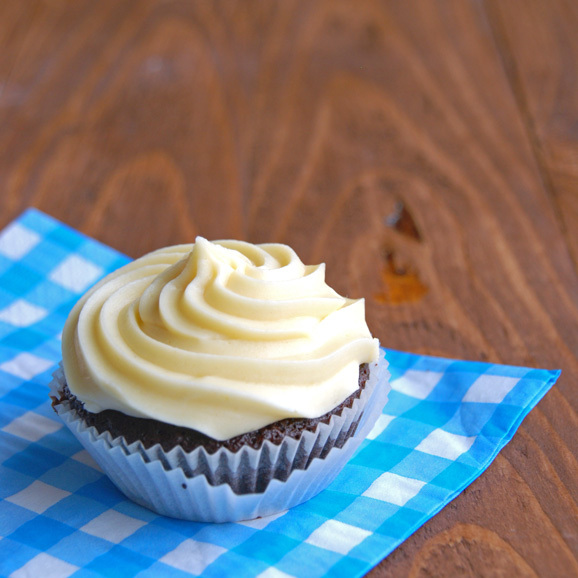 Featured today: the buttercream that inspired me to this very test. The buttercream who had all the foodies out there shudder with excitement after The Pioneer Woman dubbed it ‘the Best Frosting’ she had ever had. Flour Buttercream! As I explained in Battle of the Buttercreams, Part I, this buttercream is made by cooking a mixture of flour, milk and sugar until it thickens into a sauce and adding butter and vanilla to it once this sauce has cooled to room temperature. The cooking process kind of reminds me of making a béchamel sauce. There are actually two ways of making this buttercream. The first – and probably the best known – way of making it is by combining the milk and flour in a saucepan and cooking it into a thick paste. Once this paste has cooled to room temperature, granulated sugar, butter and vanilla are added, after which the mixture is whipped for about 8 minutes until the frosting is smooth and fluffy. You see, I don’t really believe in whipping large amounts of granulated sugar into not-very-liquid-mixtures, as it can be tricky to get all of the sugar crystals to dissolve properly and it’s easy to end up with a grainy frosting. Therefore, I went with the second cooking method, in which milk, granulated sugar and flour are cooked together. This method reduces the risk of winding up with a grainy, unpleasant frosting as all of the sugar crystals melt into the milk as it heats. Level of difficulty: fairly easy. Making the ‘béchamel’ is the most difficult part. As you can see, this buttercream contains a lot less sugar than the American buttercream. 26% against a whopping 58%! On a more positive note, a lot of people loved the creaminess of this buttercream. One of my test subjects stated that it ‘melts in the mouth’, and another person raved about its “gorgeous flavor” with just a hint of “tangy freshness” in it. My old booze-loving English teacher actually thought there was alcohol in it! When it comes to texture, opinions varied strongly. Some of my test subjects thought the buttercream was too firm and heavy, while others mentioned that this buttercream did not quite hold it’s shape as well as some other buttercreams. I have to agree on that. While certain other buttercreams, such as the Swiss, held its shape perfectly, the flour buttercream had a tendency to ‘slouch’ a little. You can see it in the photo’s too. If you compare the edges of the piped flour buttercream kisses with the edges of the American buttercream roses, you can clearly see that the edges of the flour buttercream kisses look a lot softer. But taste before looks, right? 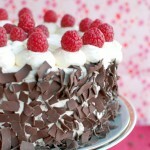 Besides, this buttercream doesn’t look bad! Just look at that cute little swirl! So is this buttercream really the ultimate buttercream? Can this modest newcomer really beat the traditional buttercreams? Does it really deserve the title of ‘Best Buttercream Ever’? Yields: about 600g (2½ cups) of buttercream. Enough to frost 1 cake or (very) generously frost about 10 cupcakes. Whisk together the flour, milk and sugar in a saucepan. Gently heat over low heat, whisking continuously, until the mixture comes to a boil. Keep whisking and cook for about a minute then transfer the mixture to a mixing bowl and, using a mixer, mix until the mixture cools to body temperature. Keep mixing and add the butter, 1 tablespoon at a time, waiting until each is incorporated before adding the next tablespoon. Once all the butter has been added, mix in the vanilla. The resulting buttercream should be smooth and thick. Use immediately. I haven't refrigerated it before I piped it on my cupcakes, but I'm guessing you can cover and refrigerate it until later use if needed. To use buttercream that has been refrigerated, allow to come to room temperature (this takes about 3 hours in a warm kitchen) or microwave in 30 second intervals, stirring in between each interval, until it's soft. Then mix through until it's spreadable again.Thaw frozen buttercream in the fridge overnight, then allow to come to room temperature before use and, once at room temperature, mix briefly until smooth. Serve at room temperature. 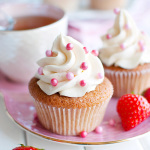 If you've assembled a cake or decorated cupcakes, allow cake or cupcakes to come to room temperature before serving (about 3 hours in a warm kitchen). Interesting comments. I’ve made this twice (using the flour and milk method). It was pretty light. It definitely didn’t pipe well though. You may want to try the milk+sugar+flour method. This buttercream definitely wasn’t as firm as the American buttercream or the Swiss buttercream, but apart from the slouching it held up pretty well! Sure, the edges were a bit softer after I piped it, but the cupcake I tried had been sitting near the fire place for about 2 hours before I got home to try it and the swirl on top didn’t lose its shape or anything. interesting post! i’d like to try them! I just finished making and piping this buttercream! It’s delicious and light, and in my opinion, pipes out like a dream. The peaks stayed very perky. It’s a lot easier to get perfectly smooth than regular buttercream, and it has a better (fuller?) flavour. I used the flour+butter+sugar method. Wonderful! Hi Babs, if you’d taken the TIME to read the post, or well, the very FIRST LINE of the post, you’d have noticed that it says that I have a new and improved recipe on my blog already. Thanks. Wow! I followed the recipe to a T and it came out beautifully! I used it only husband’s birthday cake instead of my usual crowd pleaser no-cook buttercream. Everyone was so impressed! Thanks for a great buttercream! Well, just tried to use the left over icing that I made for my son’s cake last weekend. I had it in the figdre, so I whipped it up again but it separated and looked soupy and awful! I took the other half of the leftovers and warmed a little up and them mixed it same thing happened! I’ve made a double batch before and managed to get it all silky and smooth again. Any idea what I could have done wrong? I mixed it on med/low speed.Hope you can help! Thanks! Hi MAnu, it sounds like the buttercream separated. This can happen sometimes, with all the different kinds of buttercream. When you’re making buttercream, you’re essentially mixing a fat (the butter) with a liquid (the milk for flour buttercream). As you know, fat and water are difficult to mix, just try to mix a few drops of olive oil in a glass of water. So when you make buttercream, you’re actually making a water-in-fat emulsion. If this emulsion separates, you can always try beating it until it comes together again. It will start to look worst first, but eventually it will become smooth and perfect again! can i replace 1 cup of butter with ¾cup of cream cheese and ¼cup of butter for cream cheese icing? And if you’re going to try the flour buttercream recipe with cream cheese, please let me know how it turned out! Hey. I just tried out your buttercream! I was short on eggs and after I baked my cake, had to search or a new one that didnt use eggs. I loved it! 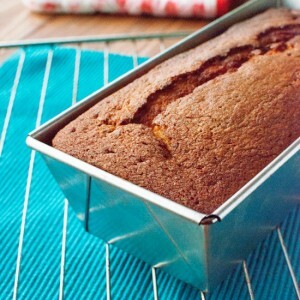 Hi there… Thanks for posting the recipe. My icing came out a little soupy and never got light or fluffy as I mixed in the butter. Any idea what I did wrong? How long sprout hoy should the flour/sugar/milk stay on the stove? And does it get fairly thick, like pudding? Never mind… I think it was only the heat of all the mixing. After a little refrigeration it firmed up. Thanks again! I’m glad you work it out, Laura! Mixing the butter into the flour mixture can indeed cause the butter in the buttercream to ‘melt’ (especially on warm days), which will result in a loose buttercream. Make sure you always use room temperature butter and wait until the cooked flour mixture has cooled to room temperature before mixing the butter in. As far as the flour mixture goes: once it comes to a boil, cook it for about 1 minute to cook of the taste of the flour. As you cook it, the mixture should thicken slightly. Kind of like a custard. It will become even thicker as it cools to room temperature. Hello! Tried this tonight and it tastes DIVINE. Mine is more the texture of a thick soup at the moment (I promise I waited until both the butter and slurry were room temperature before beating together! I blame the Caribbean humidity at my house), but hopefully throwing it in the fridge overnight will fix it before tomorrow’s party. I tried the Pioneer Woman’s version a few weeks ago and your milk + flour + sugar results in a much less grainy product. (Also, following her recipe to the letter still left a slight floury taste, and I can’t taste the flour in yours at all.) Oh, I also tried your American buttercream (which is basically what I think of as “plain frosting,” having grown up a western American). I admit that I like my frostings a little less sweet than your American version–maybe my mom used different powdered sugar:butter ratio?–but the slight crustiness it gets on the edges is spot-on and has always been my favorite thing about it. 🙂 Must be an acquired regional taste, I guess! 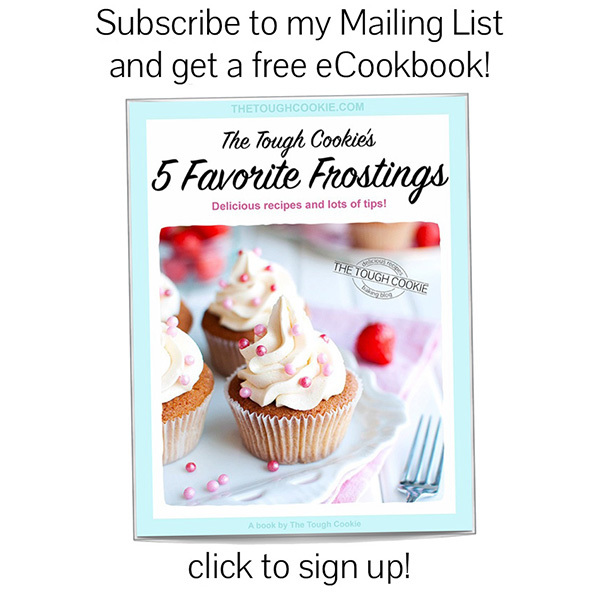 Thanks for the wide variety of buttercream recipes; I can’t wait to try them all! The recipe calls for cooling the bechamel to body temperature. I cooled it to 92 and the buttercream was very soupy. In the comments, you say to cool the bechamel to room temperature. I put the soupy stuff in the fridge to firm up, and it did, but didn’t get spreadable until I beat it pretty hard in the mixer. Even then, it was curdled looking. Hi Janice, I’m so sorry you ended up with curdled looking buttercream. Buttercream often gets a curdled appearance if the fat particles don’t melt into the other ingredients properly. It can happen to Swiss, Italian, German, Flour and French buttercream. To solve this problem, you can try gently heating the buttercream au bain marie (place the bowl with the buttercream over a pan of simmering water) for about 30 seconds, mixing constantly. This brings the temperature of the buttercream up a few degrees, causing the butter particles to melt into the bulk of the buttercream. I usually cool the bechamel to body temperature, but it can get pretty cold where I live. You may find that cooling it to, say, 68 degrees (room temperature) works best for you. Again, I’m sorry the recipe didn’t work for you, but I really want to encourage you to try again! Buttercream can be finicky, but in the end, it’s all about temperature control. If the temperature of the bechamel is too high, the butter won’t just dissolve, it will melt completely and turn the whole thing soupy. If the butter or the bechamel is too cold, the butter won’t dissolve and the buttercream will look curdled. If it looks curdled, try gently warming the buttercream. If the buttercream is soupy, pop it in the fridge for 10-20 minutes. About your question: the Swiss buttercream is amazing and it’s really easy to flavor it with fresh fruit purees (like raspberry puree made from frozen berries) or lemon/orange curd. So yeah, I think the Swiss will be your best bet 🙂 Good luck! Hi, how long should it take to get to boil? Mine has been on the stove for 40 mins & just barely a few bubbles, but no progressing. (My left hand is typing while the right whisks ) Thanks! The mixture should come to a boil rather quickly! Mine always takes less than 5 minutes to start bubbling, so I think it’s very (!) weird that yours is taking so long to come to a boil! If you have one, try monitoring the temperature of the mixture with a sugar thermometer or multimeter. Bear in mind that the flour starts thickening the mixture even before the mixture comes to a boil! So your mixture may already be cooking and bubbling away, but because the mixture is already thickened the bubbles may take longer to rise to the surface of the mixture, which means that you probably break them up with the whisk before you can see them. I found if I start it at medium or a touch higher for a couple of minutes then turning it down to medium low, I get a much quicker result. Everyone’s stove is different. Just make sure that you’r e constantly stirring it. I’m just wondering if this buttercream would be suitable to use under fondant? I make my own marshmallow fondant & am finding that the American buttercream recipe I usually use is too sweet when combined with the fondant. I have just recently found out about homemade marshmallow fondant, though! It sounds delicious! Hello again. I know I already commented on this thread. 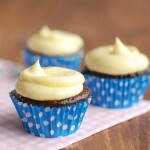 But, after making this frosting a couple of times, I felt it necessary to give some tips. I doubled this recipe for the first time., two days in a row for two different projects. One thing I did to mitigate flour clumping is to whisk the flour into the sugar before adding the milk. The other is, if you double the recipe, you DO NOT need to double the amount of flour. If you do, it will taste floury. Instead, try to add only one or two extra tablespoons. I did it the second go-around and it came out beautifully. I also add the vanilla halfway between adding the butter. Scrape down the bowl so that it incorporates fully. Shucks. Wish I would have seen this BEFORE I doubled my batch. It didn’t taste too flourery but I had little tiny flour clumps in mine. Ugh. Oh well, next time I’ll follow this advice. Thanks. Thanks for the great insight to butter cream frosting! I had no idea there were so many! I’m making my sons third birthday cake for Sunday. We use almond milk rather than dairy milk. Would this be okay or do I need to purchase some dairy milk? Thanks for your assistance. Have a happy day! Hi Denise! So sorry for my late response, I read your comment just now. I hope your son had a great birthday yesterday! Three is such a fun age 🙂 I have a three year old niece who just makes me laugh all the time! Have you tried freezing this icing or do you have a range of how long it will last in the fridge? I made a practice batch tonight and it’s yummy! Now I want to save it for a cake in serving in 5 days. Hi Riah! I’m so glad you like the buttercream 🙂 You can store it in an airtight container in the fridge for up to a week. The buttercream will harden though, so remember to take it out of the fridge to allow it to come to room temperature well before you need it! Once it’s soft, give it a good stir before using. Hope this helps! I’m not sure you should call this “flour buttercream” as a newcomer…it’s really the original! Can this frosting be flavored? I’ve been making it for years but never tried flavoring it. I love it because it isn’t overly sweet. I’m a professional pastry chef and a culinary school instructor. Buttercream is my business. The Flour Buttercream is one of my favorites because its the least fussy of the good buttercreams (I don’t count American as a good buttercream. Powdered sugar should be banned from buttercreams!). But as I’m reading through everyone’s comments, a few baking science tips come to mind. 1.) Sugar interferes with how the starch in the flour will thicken, which is the reason the flour-milk-sugar version is softer. If you cook the flour and milk to the correct thickness, remove from the heat and then stir in the sugar, the residual heat will dissolve the sugar and since the starch has fully absorbed the milk there’s no interference with thickening. 2.) How long to cook the flour & milk? One minute is not long enough. The longer you cook this, the more fully gelatinized (it’s what happens to starches as they absorb liquid) and more stable they become. This is one of the reasons many of you are having trouble with soupy buttercreams. I cook mine until its almost brownie batter thickness. 3.) You must cool the flour-milk paste until it’s room temperature. Body temperature is 98 degrees. Butter melts at 90 degrees. This is the other reason why many of you are getting soupy buttercreams. You’re simply melting the butter when you add the paste too warm. The reason it firms up in the fridge is because that’s what melted butter does. I thicken my flour-milk paste until brownie batter thickness, stir in my sugar until dissolved, then spread the paste onto a cookie sheet thinly. This cools it very quickly and you can see if you have any lumps. I get my softened butter beating in the mixer-you literally cannot overbeat butter-and then once my paste is room temperature, I add it to the butter in portions (3 or 4 portions). Then I wrap a sheet of plastic wrap around the mixer bowl and crank the speed up to high, and let it beat for 10 minutes. I always add a pinch of salt and a splash of good vanilla; I’ve also added melted, cooled chocolate, other flavor extracts, spices, food coloring etc.. You can also add cocoa powder but I’d mix that into the flour and let it cook with the milk. I’ve even subbed cream cheese for some of the butter with great results. Lastly, if you have a soupy buttercream and you’ve done all of my tips, be sure you’re measuring ingredients accurately. If you still have issues, just use a bit less milk. A soupy buttercream that firms up only because it gets cold is not as stable as a correctly made buttercream, which means it may separate or look curdled once on your baked goods. Wow Laura! Just… WOW! Thank you so much for sharing 🙂 I’ve actually updated my flour buttercream recipe since December 2013 and I will post it on the blog somewhere over the next few weeks. I’ll definitely include some of your tips. They’re super helpful! I just made it, and turns perfect! I’m not used to american buttercream, and this recipe it’s great, is smooth and pipes out really nice. The flavor taste like whipped cream. I’m making this icing right now. I woke early this morning to make coconut whip cream icing, but my coconut milk had not separated, and its been in the fridge over 24 hours. So to my dismay, I needed to find a new recipe, and I couldn’t leave my house to get my regular icing ingredients because of my still sleeping children. So far, I’m happy with it. I used the coconut milk instead of dairy milk. Took a little longer to thicken up, abd its slightly transparent. Smells great! I hope this works! Its 745 am and I need them done by 9am so we can take them to playschool! I’ll touch base again once its done, wish me luck! Frosting was fluffy, light, and delicious. At first, the frosting seemed lumpy as I was adding butter, but everything came together after more beating. However, recipe makes a LOT of frosting – probably enough to frost 2 dozen. Thanks for the recipe! I just recently found your website while looking for buttercream recipes. I read all of your posts on the buttercreams. I absolutely love Swiss meringue butter cream, but wanted to try a different one. I settled on the German butter cream. It was fantastic! We were eating it out of the bowl:) I used it to frost my son’s 1st. Birthday cake. Everyone enjoyed it.thx for sharing. I found this post while trying to find an “official” name for this frosting. I first knew of this in the late ’80s when my friend made it for a red velvet cake. It was my first time for both and the combo was fantastic. So I’ve always known this as red velvet frosting. My mom called it boiled frosting, but that seems to be a different thing. Since red velvet cake came back into vogue, I was kind of surprised cream cheese frosting was the go-to for red velvet. 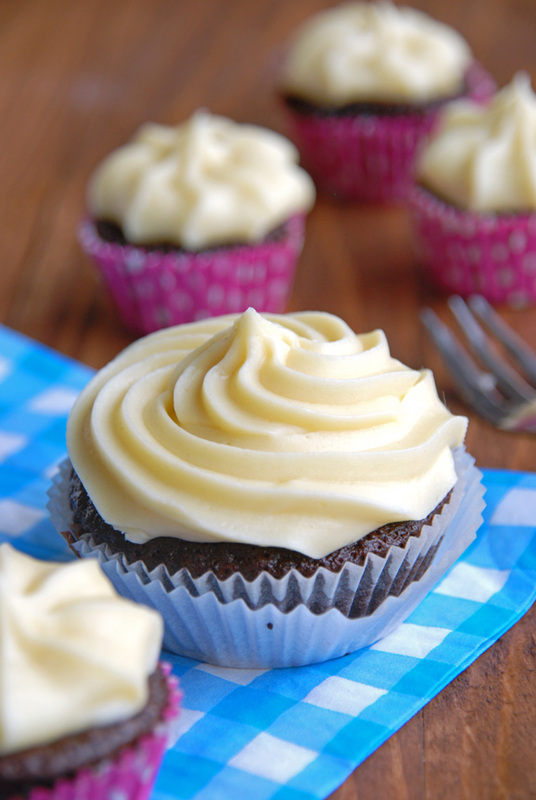 (“Real cream cheese frosting!” like it’s a rare thing and/or manna from heaven.) I can’t stand cream cheese frosting. I suspect it’s a color thing because the buttercream is yellow. Anyway, in my searching, I found Pioneer Woman’s recipe and thought “best icing ever” was a bit over the top, especially after I made this a couple of days ago. I liked it but the graininess got to me, so I’m going to try the flour+sugar+milk method next time. I’ll try powdered/icing/confectioner’s sugar for a third batch. Lastly, as I was making it, I thought, “This is just a buttercream variation. What am I missing?” So thank you for this rundown and an “official” title! Hi Nila! First of all, I loved your “Battle of the Buttercreams” article! There are so many different choices and I really appreciated how you broke down each recipe and described their uses! My husband is having a big birthday party this weekend and I made a GIANT sheet cake and I have been searching and searching for a frosting to use on it. He LOVES the flour frosting, but when I made a test batch last night – it came out super lumpy? Like the flour-milk mixture did not really fully incorporate into the butter-sugar mixture. I did the method that you described as method 1 above, not the one in your recipe. But I am wondering if I just let it cook too long? I am not sure how thick of a paste it should be before I take it off the heat? Hi Kay, I’m so sorry the buttercream did not work out for you. Like I said, I’m not a fan of the first method. Somehow, for me, the sugar never properly dissolves. I don’t think you’ve cooked the mixture too long. What might have happened is that the buttercream separated. When making buttercream (most any kind of buttercream) you’re really trying to mix fat and water, which are notoriously hard to mix. Separated buttercream looks curdled and, like you said, as if the milk mixture doesn’t incorporate. More mixing should solve this problem, with any separated buttercream. Also, you may want to take a look at this post. Since my 2013 post on Flour buttercream, I have discovered new ways of making it. The beaten butter method is super foolproof! Hi Nila! I went ahead and did your method and it turned out INCREDIBLE!!! Everyone raved about it and it was absolutely delicious! I think the key was the method you outlined above, I cooked the flour, sugar and milk all together and then worked in the butter – it worked like a dream, and it held up so beautifully! Thanks for the wonderful recipe! I am looking at buttercream recipes with the hope of mading a sorghum buttercream. I have throughly enjoyed your blog and the buttercream battle. My question, which buttercream would you suggest for incorporating sorghumin place of sugar? Pipping is not a critical element for my purposes as the icing is for cornbread cake. I am making recipes for a local source farmer’s market. We have great local cornmeal but not much wheat. Anyway, since you want to use sorghum instead of sugar, I take it sorghum dissolves, just like sugar does? In that case, I think your best bet would be the German buttercream or the flour butterceam. Because the German and flour buttercreams are custard/pudding based and the sugar only acts as a sweetener, I think you can safely use sorghim instead of granulated sugar. You’ll just have to adjust the amount of liquid too, according to this site. Whatever you do, don’t try to use sorghim in the Italian, Swiss and French buttercreams! Those buttercreams are made by beating butter into an egg foam, and those egg foams can’t be made with anything but ordinary sugar. Hope this helps 🙂 Let me know how the buttercream turned out! This turned out great! I used your quantities and followed Chef Laura’s directions from up in the comments section….it worked perfectly! The frosting was stiff enough for nice piping (not terribly intricate, but nice star tip designs) and has held up well sitting on the counter (I’m testing frostings for a birthday cake that will be out for awhile!). It has a great taste, too. There’s a teeny flour taste I can notice (maybe I need to cook a bit longer next time), but no one else (who didn’t know how I made it) could tell. I updated my Flour Buttercream recipe based on this site! Thanks! Wow Lizi, that makes me so happy 🙂 I’m glad you like the recipe! I love the cooked flour butter cream! I have only made the milk+flour version. The flour got very thick very quickly. It seems like it should able to actually “cook” a little longer. I haven’t had a problem with the sugar not dissolving in the butter, although the times I’ve made it, it will separate or look a little granular, but I think the granules are actually butterfat. One thing I did notice the last time I made it though, is that I frosted and tasted one cupcake before frosting them all and the frosting was smooth and creamy. After tasting it, although good, was not like I recall and I had forgotten to add the vanilla. I added the vanilla and immediately it got the little granules of butterfat. I wonder what if the vanilla had some reaction to make that happen. I’m thinking of maybe adding the vanilla to the milk + flour right after cooking. Suggestions? I also ran across another blog all about “cooked flour” frosting and they had a lot of suggested variations that sounded so delicious! Hi Nila! Just one more quick question! 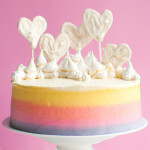 I am actually going to be making a gender reveal cake for one of my good girlfriends, and I was wondering if there would be any way to incorporate cream cheese into either this buttercream recipe or the German buttercream recipe? Any feedback would be great! As far as your question goes, I’ve heard some people like to add a few tablespoons of cream cheese to their buttercream, to give the buttercream a slightly tangy flavor. 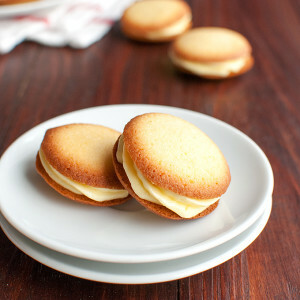 However, you could also experiment with substituting all of the butter for cream cheese. I’d say, make a few small test batches to see what you like best 🙂 Oh, and I love gender reveal cakes! They’re so fun! Hi Nila! Well, I made the cream cheese flour frosting and it was FABULOUS! I ended up going with about 50% of the butter suggested and subbing in cream cheese for the other 50%. It added a nice tang but was still so fluffy and wonderful! Thanks again for such a great recipe! Hi Kay, I’m so glad the buttercream turned out great! I must try it myself sometime 🙂 Thanks for getting back to me! Hi & thanks for the suggestion. I had the same idea to add the vanilla to the milk prior to cooking and see if that might help. It may be the alcohol and cooking might help to evaporate it. At the end of the basic recipe is a few variations — chocolate, cream cheese, cookie dough, peanut butter, Nutella a few others, and a a vegan version. Milk substitutions were also offered. If you look through the reader’s comments, some have created other variations (gluten-free using rice flour, marshmallow cream, fruit, etc.). There was also a link to another recipe for a spiced brown butter version. Oh my, I could get lost in this stuff. Hi nancyp! Thanks for getting back to me! The other blog looks great and her buttercream varieties sound delicious too 🙂 I love learning new things about buttercream! Thanks for the recipe ! I made this frosting and it was amazing ! can i reduce the amount of sugar a little bit? Hi, I made the buttercream using your recipe and I must say, its the best tasting buttercream ever. American buttercream is way to sweet for my taste. This one had a perfect balance. My only concern is that i was not able to use left over buttercream as it turned into something else after refrigerating it for a day. The water in the buttercream got separated and cream looked granular. Is there any way this buttercream could be used after a day or so? Hi Dkaur, I’m so glad you like my recipe! 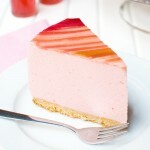 I am tickled pink to run across your recipe. This was my mother’s red velvet cake frosting from the 70s. I agree with a previous comment about why cream cheese frosting is used on red velvet cake nowadays – because cream cheese frosting is a 1-step process and people don’t want the 2 step process, although very easy. The past few times I’ve made my mother’s version of cooked buttercream there was a grainy texture from mixing the sugar in AFTER cooking the flour/milk (unless I didn’t beat it long enough). I am making a red velvet for a special occasion and am going to try mixing the sugar in WITH the flour/milk like you recommend, hoping to avoid the grainyness. THANKS!!!!! Love love love every bit of ur work, and the time and commitment you put into every work of urs…. I have loved your recipes, and also tried being experimental but I am scared when it comes to frostings,so who better to ask than the pioneer itself? I have two questions for u, out of all the butter creams which one tastes the least sweetest and pipes well? Also can I add whipped cream to my smbc or iMbc to lighten the sweetness as I really hate too sweet frostings… Will it work? And also to wat extent can one modify the amt of sugar added in any given recipe of urs… I really really want a less sweet frosting that pipes well too.. Could you please help me out…! Thanks in advance. Hi Muhsina, I’m always very happy with the flavor of the Swiss buttercream. My recipe has the least amount of sugar possible (30g of sugar per egg white), and it really isn’t too sweet. Plus, it pipes gorgeously. If I were you, I’d start with that one. About your idea to add whipped cream to buttercream, I wouldn’t try that. I think it would only make the buttercream split and separate, so try to play with the amount of sugar, rather than adding cream. Hi Mary Ann, adding the cooled milk mixture to beaten butter is certainly possible! In fact, I recommend it. Ever since I first posted about this buttercream, I’ve learned that adding spoonfuls of the pudding base (the milk mixture) to beaten butter is a better, more foolproof way of combining the two together! Something happened. Disaster! I spent more than an hour on this, and what did I get? A grainy, soupy mess. One problem is that I am GF. There was something that tasted odd in my flour mix. Millet, perhaps? The upshot, in any case, is a lot of butter and good, evaporated cane sugar used for naught. Any thoughts about what I might do with it? I showed it to my son. HE did not want to try it. Luckily, the cake was tasty. Maybe it was not meant to be frosted. Hoping for something as lovely as what you have depicted here, next time.. Cheers! Thank you, thank you, thank you Nila . Best information and finally found the BEST buttercream ever. I agree with Chef Laura and that is that icing sugar should be banned. Yuk???? Soooooo sweet it’s disgusting. After all my hard work I want people to eat my cakes not pick icing out and hear “it’s good BUT too sweet for me”. I tried your new flour buttercream, version 2. Worked like a charm. If I wasn’t on a diet I would sit and eat it with a spoon lol. Now my concern with this one is this. How does this handle for stacked cakes. I detest all those high sugar buttercreams that do work well with stacked cakes, but i would love to be able to use this one. When using as a filling would I need to build a dam or will it seep out to the sides? Also I just signed up for your wonderful updates. How else can I keep in touch with you? Now that I found you I want to learn more from you. Thanks for ALL your help and for all you do to help us. I made this today and they were amazing! This is my very first successful buttercream (American just wasn’t doing it for me, and my Swiss just sort of melts, but the texture still wins). I agree that this tends to be “heavier” in the mouth and does not have that much structure, but since I am trying to craft a completely egg-less cupcake, it would be wrong to use swiss meringue (which I actually thought to do first, and then when I was prepping the ingredients I was like, wait… this has eggs!) So for egg-less cupcakes, this would def my go-to buttercream. But for regular cupcakes, I’d still go for Swiss. I’m so glad you like the recipe, Austin! Just wondering: how long is it safe to leave flour buttercream at room temperature (decorated on a cake?). I plan on using flour buttercream for a 1st birthday smash cake (pumpkin/apple- yum!) and am planning on displaying it during the party. It would at max be out for 4 hours. I know the notes says let it come to room temp for 3 hours, I’m just paranoid since it has milk in it. I did a quick google search and found all kinds of crazy answers. Thanks in advance and thanks for all of the buttercream tips! ***** absolutely wonderful buttercream. I followed your recipe exactly and was rewarded with the BEST better cream I have ever tasted. I will never make American Buttercream again. Thank you. 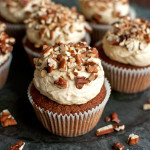 I love this recipe and am wondering if you can leave the cupcakes out for 24 hours not refrigerated. I know you can with regular buttercream but just want to be sure. 1. You can add 1/4 cup of cream cheese, or cocoa if you want to change the flavors. 2. If you substitute shortening for the butter, then you get an awesome, temperature stable icing that can be used as sandwinch cookie filling, or just used to frost a cake or cupcake. I typically use the shortening, and add mint extract and green food coloring when I make my mock oreo cookies, but I have also added cream cheese and used the icing on top of apple cupcakes. 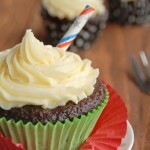 This is one of the best, and most versatile icing recipes that I have ever used. I am 70 years old. When I was in High School, the Mother of a friend of mine made Awesome Whoopie Pies. The filling blew me away and as a teenager I asked for the recipe. It was this Flour Buttercream Frosting but it did have marshmallow fluff in it. For cake frosting I eliminated the marshmallow. The graininess of the sugar was always an issue so I am eager to revise my recipe using all your and others tips. I would like to try this to make a Diabetic version using a sweetener like Splenda or Canderal. Do you think it would work and in terms of quantities, how would you suggest I adjust these? thank you for your recipe. I have 2 questions for you though.. First, can you just double this recipe? Second, does it harden when placed in the fridge or can I use it under fondant? Hi Dana, have you seen the updated version of this recipe? Because it’s a lot better. The updated version hardens in the fridge (like all buttercreams) but is deliciously silky at room temperature. It won’t form a crust. I bet you can use it under fondant, but I haven’t tried it (I never work with fondant) so I’d experiment a bit with it if I were you. Hope this helps! I came across your site when I googled for a buttercream frosting recipe hoping to find one without a lot of powdered sugar as I’m diabetic. 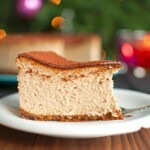 Your site is the answer to my prayers, especially your homemade pastry cream sounds delicious! i can hardly wait to experiment with your recipes! In your recipe for homemade pastry cream you listed cornstarch & then in parentheses you had “custard powder”, is that another name for cornstarch or another product? I also came across your recipe for Biscoff frosting for your carrot cake. Now you’re in the Netherlands (one of my sons is married to a lovely girl from they live in Apeldoorn) Is Biscoff spread a product from your country or will I be able to find it here in America? I’ve never heard of it before. Your site is beautiful and inspiring and I can hardly wait to try your recipes. Thank you so very much and have a blessed day! 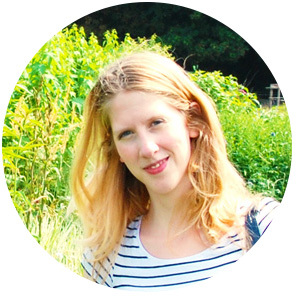 Hi Margo, I’m so glad you like my blog! That’s so cool that your son lives in Apeldoorn with his wife. Apeldoorn is beautiful and really not that far from where I live 😀 Biscoff spread isn’t Dutch. I believe it’s from Belgium, actually, so pretty close. You’ll be able to find similar products in America. I believe Trader Joe’s sells it as cookie butter. But you can definitely find it on Amazon! What frosting would you recommend for a poppy seed 10″ 6 layer cake that will have buttery dulce de leche filing? 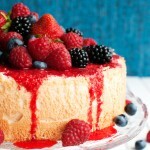 I want something not very sweet, and relatively easy to frost with (Smooth, or smoothish, no designs) that will be ok at room temperature/80 for a little bit – while being served; it will not sit out for long, but its is an outdoor party in June. 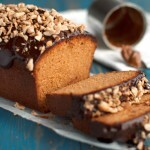 I ‘d love to incorporate some dulce de leche or condensed sweetened milk into the frosting if possible. Thanks a million!! Hi Lulu, I think flour buttercream will be great for that. It’s not too sweet, as you can adjust the amount of sugar you use without compromising the texture of the buttercream, and you can even use dulce de leche to flavor it. Just melt it into the milk before making the pudding base, bearing in mind that the dulce de leche is sweet so that you may need to cut back on the sugar even more! If you want to, you can beat in a little more dulce de leche into the finished buttercream to give it more of a dulce de leche kick. Flour buttercream also holds up pretty well in warmer temperatures. I have used this recipe for years but my recipe calls for crisco and almond extract and I love it, it is not so sweet and everyone who tries it loves it. I am going to try your way using butter wish me luck I’m making cupcakes for open house at church and need 60 cup cakes, how big a batch do you think I can make safely. Hi Joanne, that sounds like quite the project! I reckon you’ll need about 10-15 cups of buttercream if you want a generous swirl of buttercream on top of the cupcakes. Do you know the capacity of your stand mixer? Because if you have a very large stand mixer you can maybe triple this recipe (if you have a regular stand mixer, double it). This still means you’re going to have to make several batches. 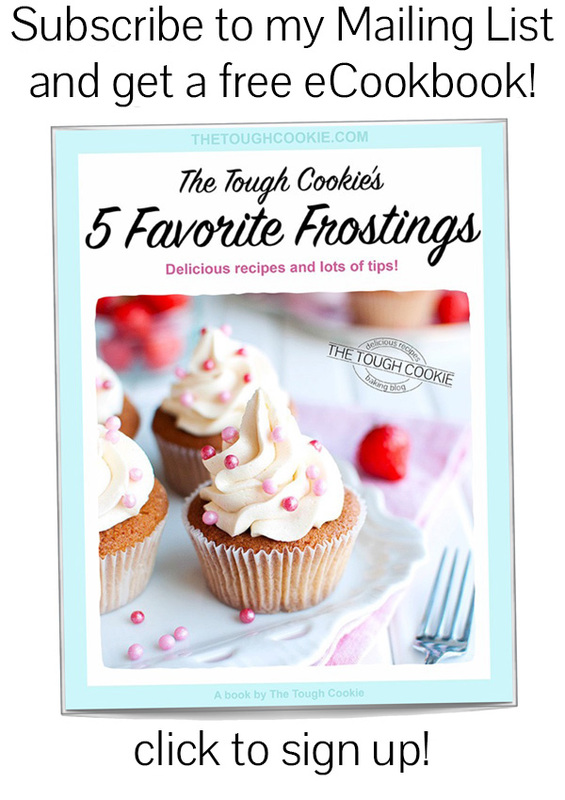 Hi tough cookie I have been trying to find the receipt for a special decorators butter cream frosting. we first tasted it at a place in vallejo california called the home bakery! (best bakery ever)grew up eating there stuff only. when I moved to Oregon the place went out of business after 70 years!!! 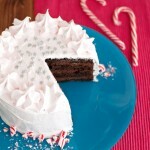 its a very smooth and creamy frosting that is tart or tangy . and the outer part of topping gets slightly gritty after it sets frosted in the air. but its the best to decorate with. have searched for years trying to find any one who worked there that knew the receipt to make it any clues???? please home sick for childhood favorite thing ever!!! I am planning to use this icing on cupcakes for a shower. 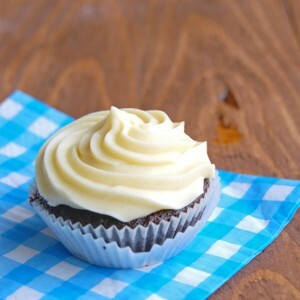 I made the icing today and would like to frost the cupcakes the day of the shower (3 days from now). 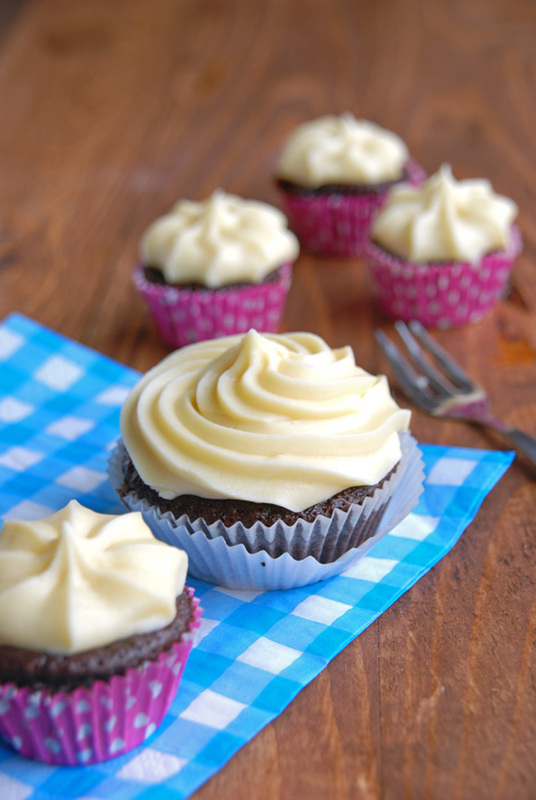 Should I keep the icing at room temperature or refrigerate until ready to use? Thank you for your help. I refrigerated the icing. When I went to use the icing, it did separate. I put the icing back in the bowl and beat it until it came together. So the icing can be made in advance. Don’t get discouraged if the icing separates. Just remember to keep on beating until it comes together again. Thank you Chef Laura for your wonderful hints. I’ve used cooked buttercream for all my wedding cakes since the early nineties. My favorite filling is raspberry preserves whipped into the buttercream. The recipie I use is over 100 years old and the flour, butter and sugar are cooked together. The moment I love is when a guest asks for a small slice of wedding cake and then they return asking for a large slice. 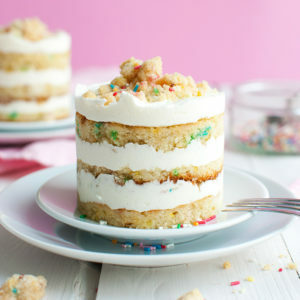 This frosting and filling turn cake into dessert. Hi Cynthia, are you a baker? I’ve never made a wedding cake before! Sounds like so much fun, especially when guests ask for second slices 😉 Anyway, would you please share your recipe? It sounds really interesting and delicious. I’ve never heard of a frosting that’s made by cooking the flour, sugar, AND butter together. 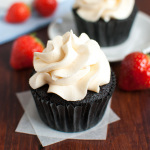 I have made your recipe a total of 3 times now and although I love the mild sweetness of this recipe, the texture of the finished buttercream is like eating one of those whipped butter spreads. I don’t know if the buttercream itself is supposed to be like this in texture, or if I’m doing something wrong. Can you please help? Thanks! Hi Eunice, I have never had whipped butter spreads, because we don’t have those here in the Netherlands, so I’m not sure about their texture. However, I myself wasn’t too happy with the texture of this buttercream. Have you tried my updated version? There’s a link in the post!